Pianist Sophia Yan performed at age 4 in Carnegie Hall and at 9 at the Kennedy Center. Sophia is a four-time first prizewinner of the Steinway Society Competition and winner of International Concert Alliance and International Young Artist Competitions. Neil Genzlinger of The New York Times writes, "...the music literally pulls her off the piano bench; she ranges up and down the keyboard so quickly and with such ferocity that mere sitting will not do." Yan has appeared in Lincoln Center, Steinway Hall, CAMI Hall, Chateau de Fontainbleau (France), St. Nicolo's Auditorium (Italy) and Niagara Courthouse (Canada). Recognized as an exceptional artist by the National Foundation for Advancement in the Arts. Vox Novus is called for one-minute solo piano works composed by children under the age of 15 for a very special 15-Minutes-of-Fame: <15. The one-minute piano works are to be written specifically for this project. 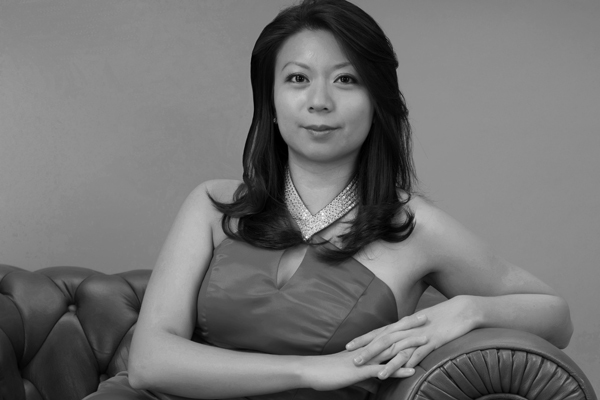 The selected pieces will be performed at the September 18, 2011 Composer's Voice concert in New York City by pianist Sophia Yan.